Delicious chicken. It\\\\\\\\\\\\\\\'s great with a side, plus it\\\\\\\\\\\\\\\'s perfect for enchiladas, tacos, or tostadas! Whisk together the diced tomatoes with their juices and the tomato paste in the base of the slow cooker. Stir in the taco seasoning. Add the chicken breast and thighs to sauce and spoon the sauce over the top. Set the slow cooker on low and cook for 8 hours. Once cooked, pull apart the chicken with 2 forks. 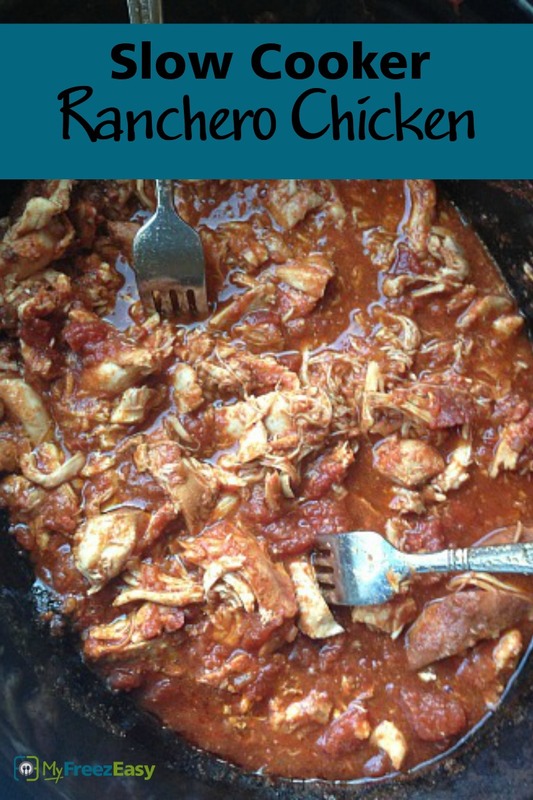 Serve Ranchero Chicken over rice with side of veggies. Open 2 cans of tomato paste. 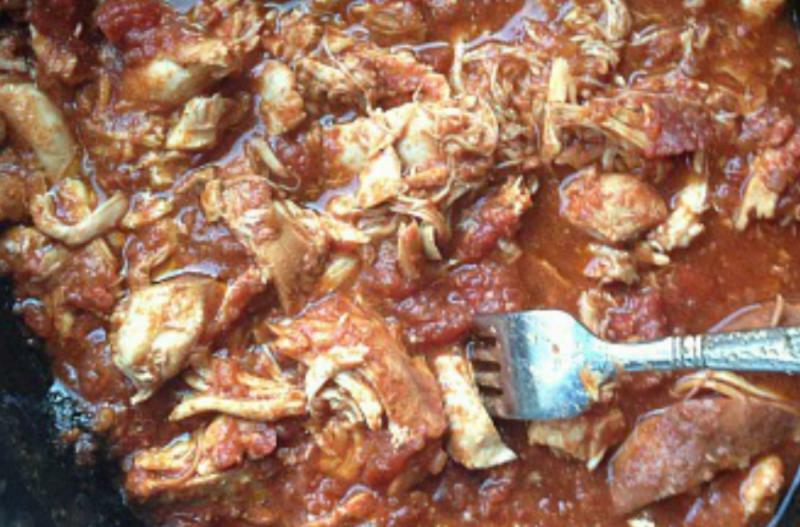 This shredded chicken-tomato mixture could also be used for enchiladas, on tostadas, in burritos or hard shell tacos. Also, the extra cooked and shredded chicken can be cooled and frozen to use again in the future. Thaw and slow cook on low for 8 hours. Once cooked, shred chicken with 2 forks and mix with the tomato sauce. Serve over rice with veggies.